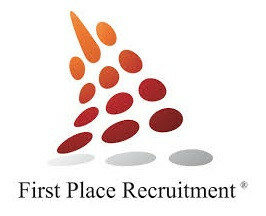 First Place Recruitment is Ireland’s premier multilingual recruitment agency, with a specific focus on sourcing and relocation of multilingual candidates worldwide. Since 2010, we have been working with the world’s largest and most prestigious companies, setting the highest recruitment standards … and working up to them! We are an Ireland-based recruitment agency, but we also have strong international background and resources. Hence, we are working for a range of clients across Europe and worldwide: from SME’s to large blue-chip Organisations. We work primarily with candidates who are fluent in English and speak at least one other language at a native or fluent level. Some of the languages that we most commonly recruit for are: German, Dutch French, Norwegian, Finnish, Danish, Swedish, Italian, Spanish, Polish, Arabic, Turkish, Japanese, Vietnamese, Indonesian, Thai and many more! We believe that the only right way of measuring success in recruitment is through the satisfaction of all parties involved in it. Hence, we work on behalf of both: our clients and our candidates with the same passion and commitment, and we ensure that they are equally happy with our service. Of course, we’re always happy to expand this list. Trust us, we learn fast! German 1st Line Tech Support Agent needed in Holland! Finnish Travel Reservations Agent in sunny Portugal!